The Arc's advocates understand that every family’s situation is unique and we strive every day to meet the varied needs of those who contact us for assistance. For every advocacy call we receive, our advocates perform a complete assessment of each situation and, when necessary, work with the family to formulate a mutually-agreeable plan for advocacy support. In general, the Direct Advocacy needs of the people who contact The Arc fall into two categories: those whose needs are short-term and can be met through information and referral, and those who need individualized advocacy until a resolution is reached. For families in need of this type of one-time support, The Arc’s advocates answer questions like: What information can you give a family new to Colorado about community center boards and guardianship options? How does Choice Enrollment into a school work for a student on an Individualized Education Plan (IEP)? How do I best prepare for my initial IEP meeting? Through this quick and efficient exchange of information, many families gain vital knowledge to effectively advocate for their children. Formulating a mutually-agreeable advocacy plan to address a predetermined issue. This includes speaking with the school district and/or community staff on the family’s behalf, and/or/ attending a meeting(s) alongside a parent/guardian. Engagement at this level is for situations when the special education process has been stopped, either by the district or the family, and the student's IEP team is no longer functioning effectively. In these situations, The Arc uses a consensus model to assist the IEP team to become functional again while ensuring the IEP process and procedures are followed. As you can imagine, no two advocacy situations are ever exactly alike, but with everyone working together in the best interest of the child, we've found that most problems can be resolved. 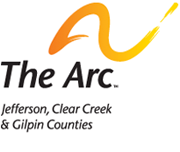 The Arc holds an excellent reputation in the community, and our advocates have worked to develop positive, collaborative relationships within the school system, which ensures that we can effectively advocate for every family. Together, we help ensure the rights of individuals with I/DD while helping secure a positive educational experience for every student. If you are in need of Direct Advocacy assistance, please contact us at (303) 232-1338.